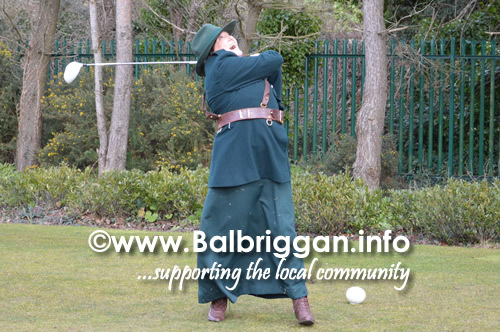 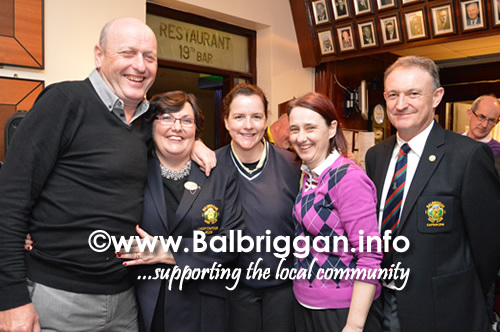 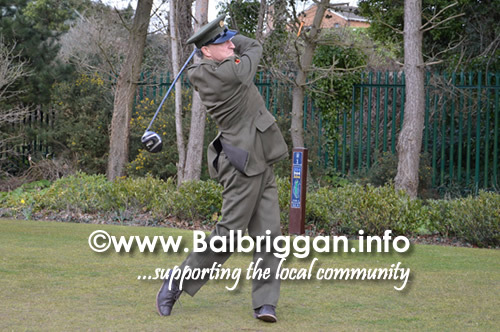 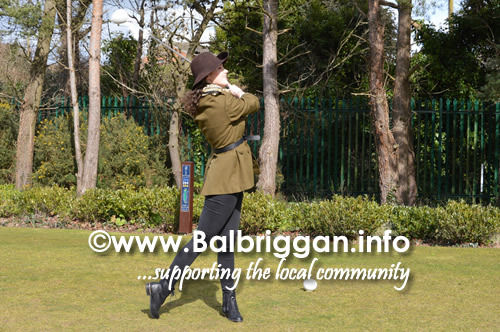 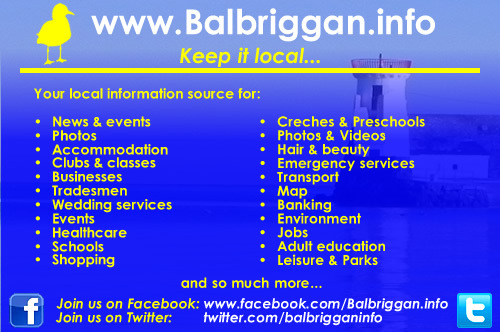 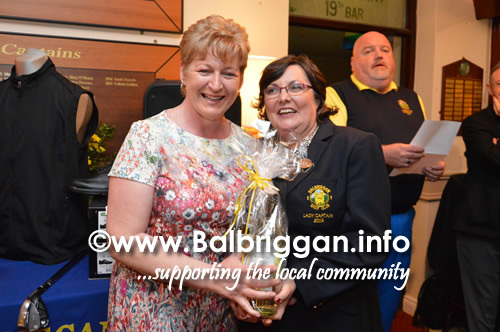 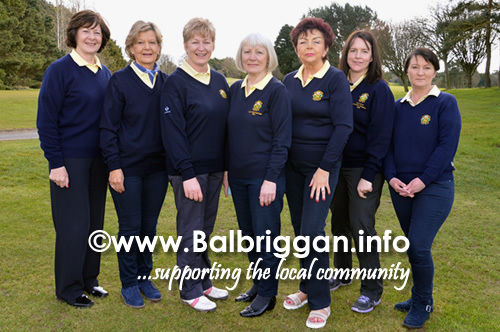 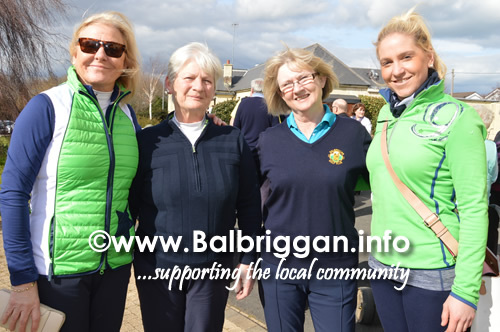 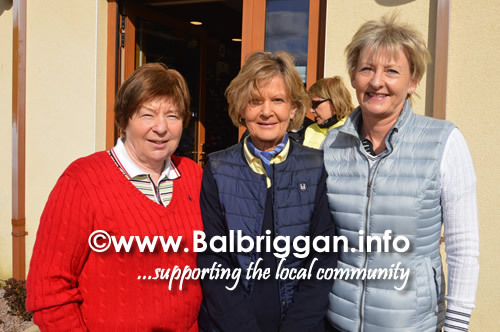 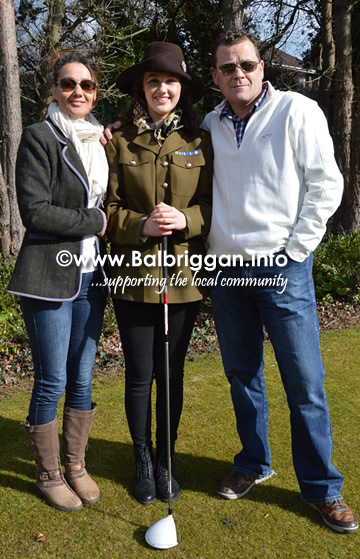 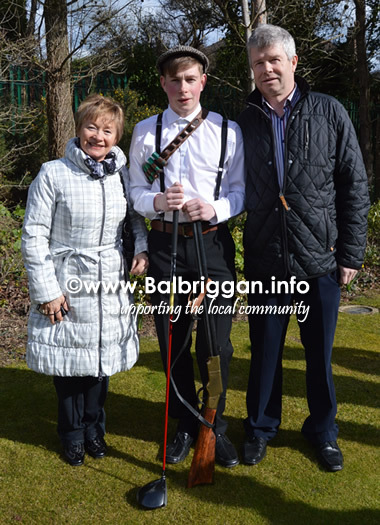 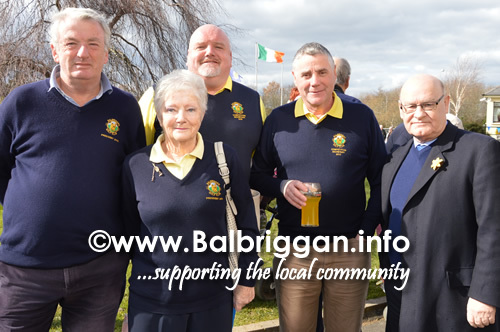 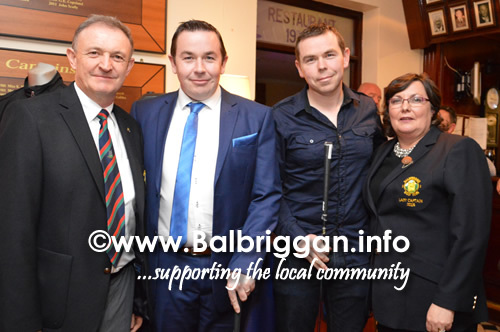 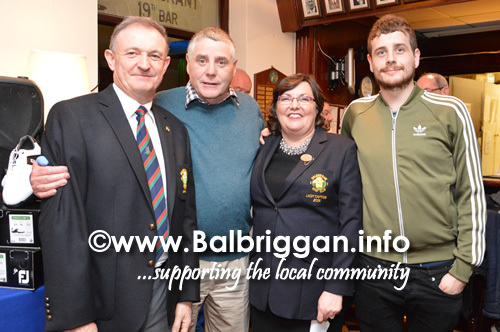 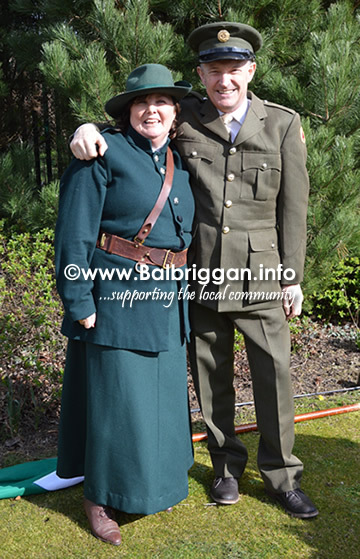 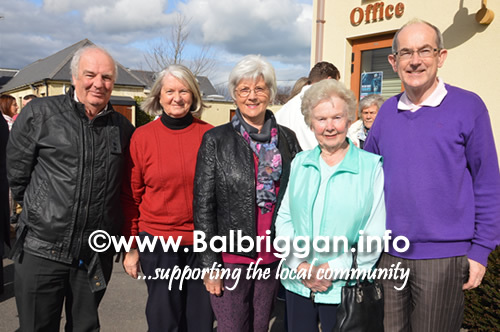 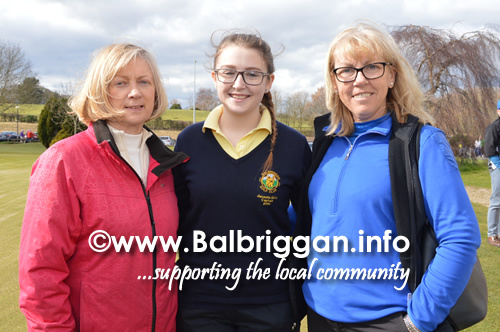 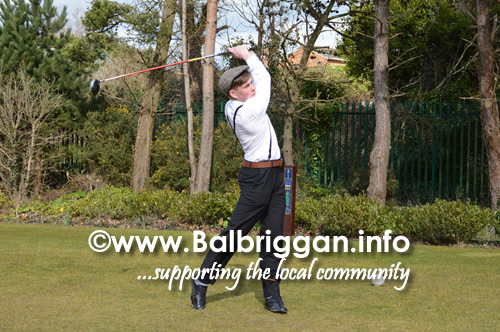 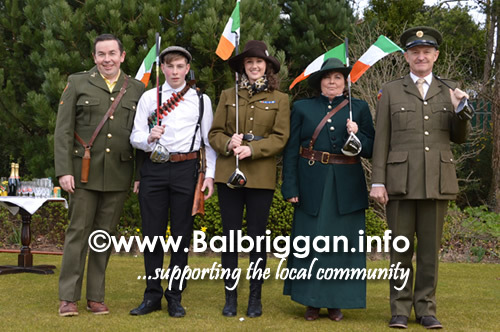 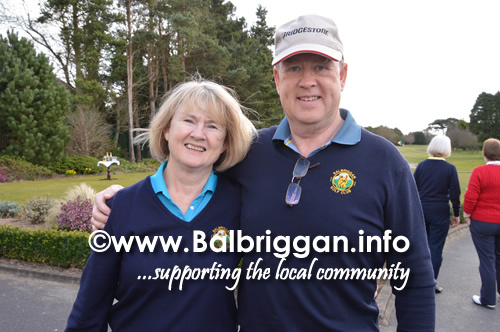 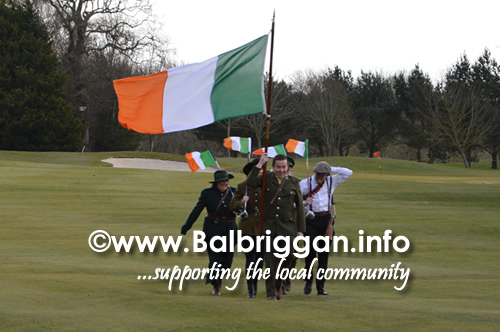 The Captains’ Drive on Sunday morning was a great success at Balbriggan Golf Club with over 200 members and friends in attendance, giving their support to captains John Fitzpatrick and Deirdre Foran. 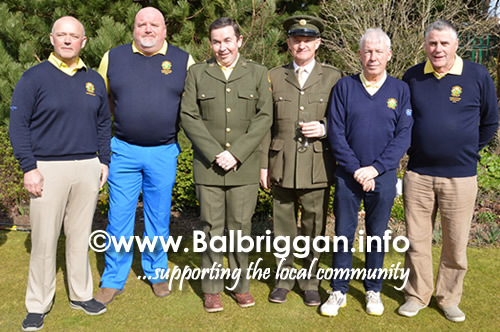 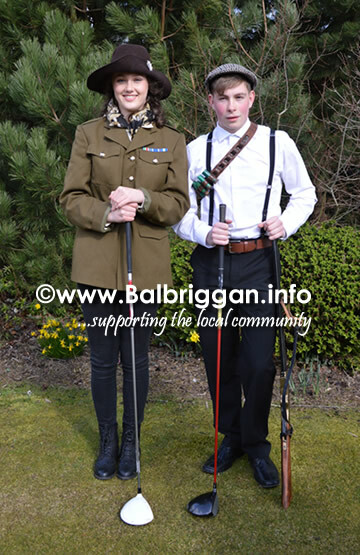 Captains arrived for the drive in dressed 1916 as the marched up the course and the teed off under fantastic spring conditions. 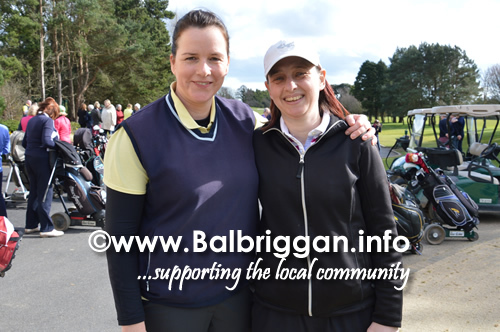 Back in the clubhouse after play the players were all fed while the scorecards were being totaled. 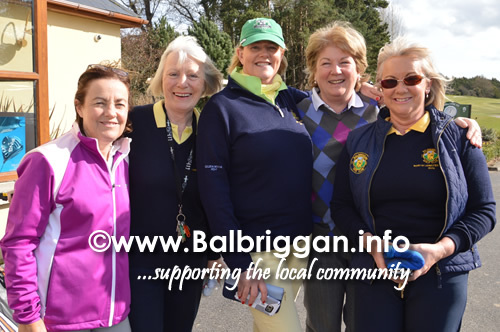 Beatrice Magee, Ina Hudson, Elaine Whelan and Geraldine McCally.